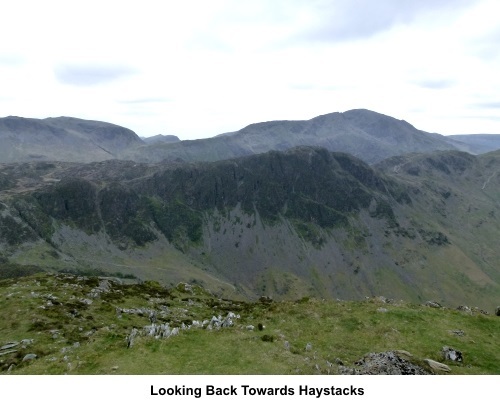 Introduction: This walk to Hay Stacks and Fleetwith Pike is not over-long at 5.2 miles but is not to be underestimated in terms of effort. 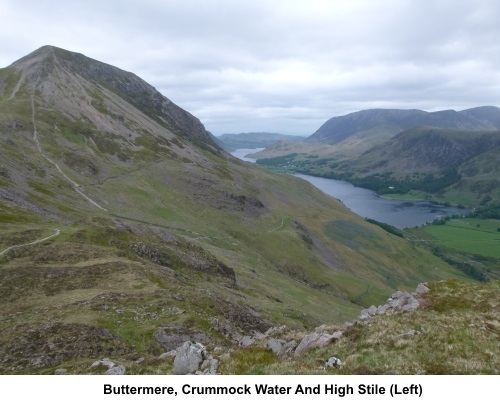 If, through desire or necessity you need to shorten it, you can miss out Fleetwith Pike and descend after Hay Stacks, via Warnscale Beck, reducing the overall distance to 4.2 miles. The route mostly follows paths which are clear on the ground. Not all marked on the OS map but this is Access Land where you can pretty much go where you like. 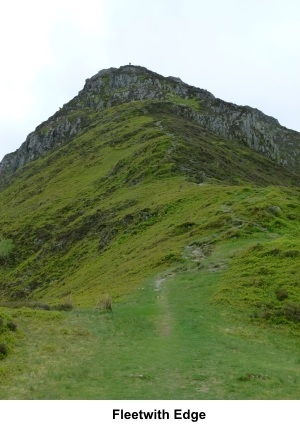 In deciding whether to descend Fleetwith Edge from the Pike, I must mention that this is a merciless, very steep descent, extremely hard on the knees. If you have any sort of knee issues, I recommend the Warnscale Beck way down. Whilst perhaps not on a par with Striding Edge or Sharp Edge in terms of danger, Fleetwith Edge is not without risk. 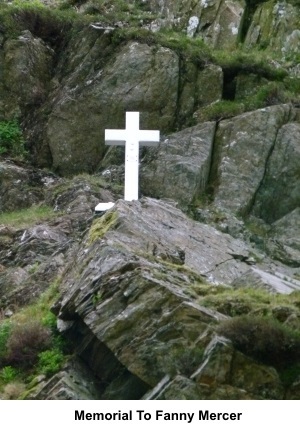 Indeed, as you get to the bottom, there is a white cross memorial to one Fanny Mercer, who, in 1887, fell to her death here! Take care. 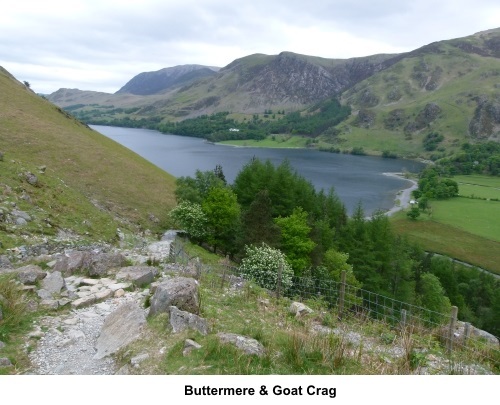 If you are feeling energetic, this walk can be treated as an extension of my Red Pike and High Stile walk, from the Scarth Gap Pass point, returning to Buttermere via the lakeside path. 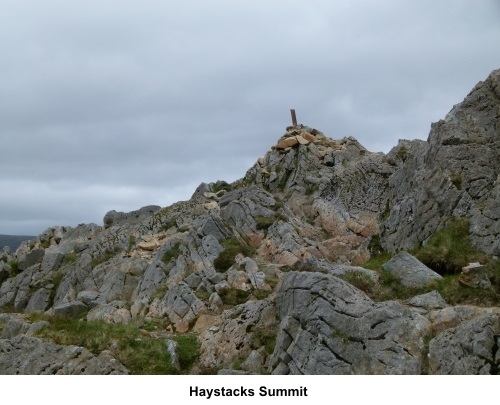 Hay Stacks presents a dramatic face of crags from the start, at Gatesgarth Farm. Although it is a relatively low hill in these parts at 1958 ft (597 metres), it makes up for its lowly altitude with its beauty by having some interesting rock formations and tarns. 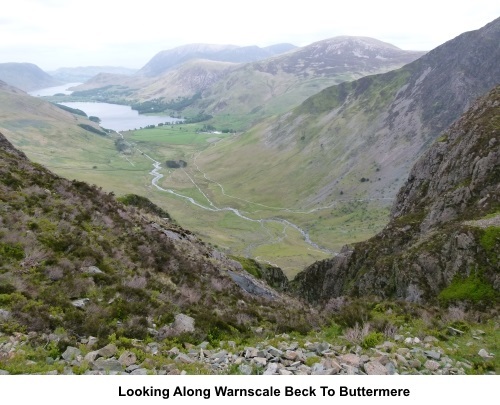 Indeed, it was the great Alfred Wainwright’s (1907-1991) favourite and where he had his ashes scattered. 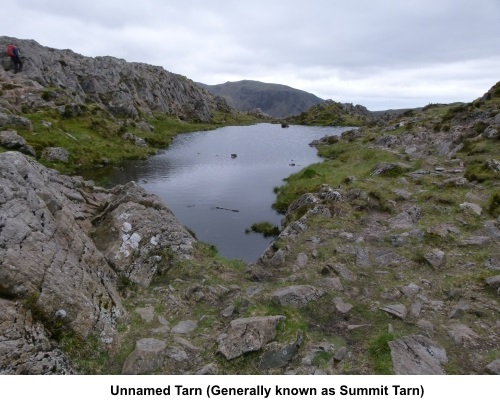 There is a small unnamed tarn at the summit (often referred to as Summit Tarn). The route then passes Innominate Tarn and Blackneck Tarn before crossing to Fleetwith and Fleetwith Pike. There are also one or two other minor tarns. 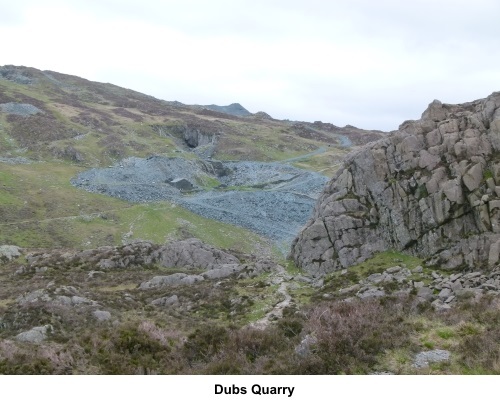 You also pass the remains of slate quarrying at the head of Warnscale Beck, not least Dubs, which was linked to Honister Pass by a tramway. The walk uses a short section of the tramway’s route to the remains of the old drum house. 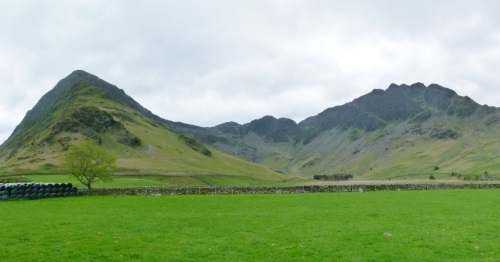 Fleetwith Pike is slightly higher at 2,126 ft (648 metres). It too had a dramatic presence from the valley and at its summit is one of the best views of Buttermere. 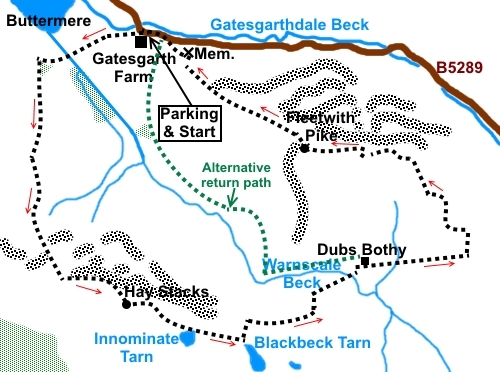 The walk starts from the car park at Gatesgarth Farm. 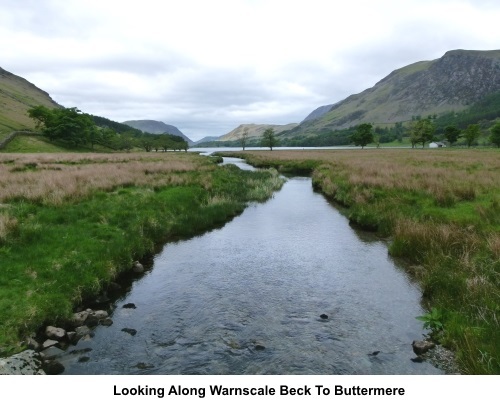 This can be approached either by the B5289 from Buttermere or by the same road in the opposite direction from Keswick, via Borrowdale and Honister Pass. Start: Exit the car park (NY 195150) and take the fenced footpath across the road with the fingerpost for “Ennerdale” and “Buttermere”. Follow the broad stony track and cross Warnscale Beck via Peggy’s Bridge. Note a small triangular shaped tree plantation ahead of you. Follow the path to the right hand point of it where you meet another path at a ‘T’ junction (NY 188148). Turn left. 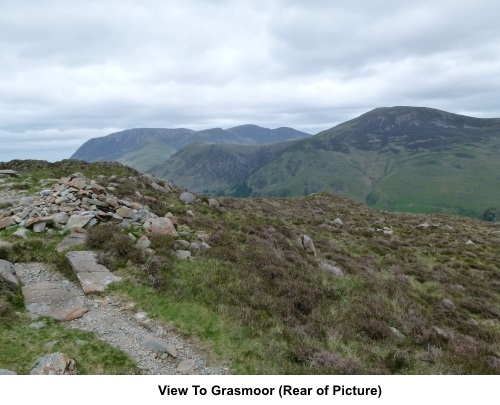 You will have passed a bridleway fingerpost for “Scarth Gap” and indeed it is the col at Scarth Gap Pass to which you are heading. Just after passing through a dilapidated wall, keep straight on, between the small cliffs. The path is marked by some cairns. Do not be sidetracked by a clear path more to the right. At the col, the path levels out briefly. Follow the path to a larger cairn (NY 189133) and turn left here to follow the manicured path up to Hay Stacks summit (NY 193131). There are one or two choices of route as you ascend but as long as you keep going upwards, any will take you to the summit. At the summit, the rounded dome of Great Gable is ahead of you, as is Innominate Tarn, the larger tarn around a quarter of a mile ahead (113°magnetic). Behind Great Gable is the mass of the Scafell range. Take the obvious path which passes the left bank of Innominate Tarn (NY 138190) and continue as it passes close to the NW tip of Blackbeck Tarn. 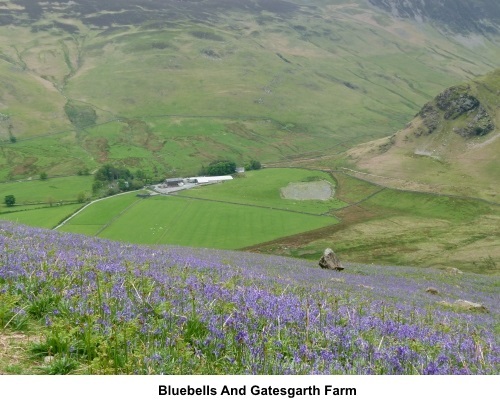 The path now passes the top of the valley containing Black Beck and Warnscale Beck. The views from here down to Buttermere are quite spectacular. Follow the path round the head of the valley until you get a clear view of Dubs Quarry and stone building which is Dubs Bothy. Take the path (from NY 206132) across to it. 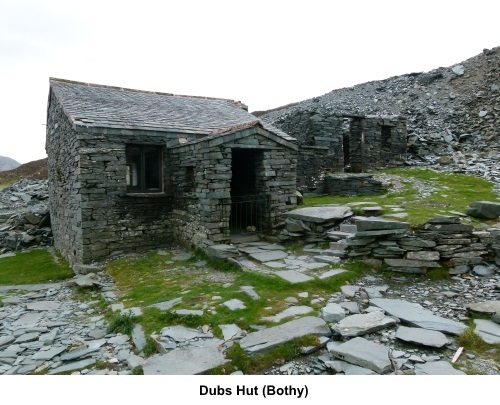 Pass to the right of Dubs Bothy, belonging to the Mountain Bothies Association. Continue on the broad track which becomes the course of the old tramway which took quarried slate to Honister Pass. You will recognise this by its straight level course. Follow it for just under half a mile to the remains of the old drum house (NY 216135), which now looks like a stone built platform across the tramway path. Turn left here at a cross roads of paths. At the main quarry track, turn left and beware of vehicles. After only a hundred and fifty yards or so, look out for a faint path across the grass to the right (NY 215137). 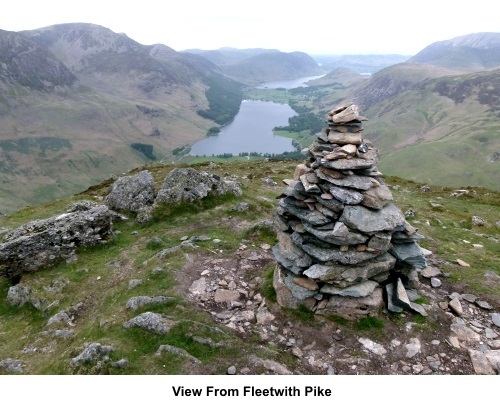 At a small tarn, take the path to its left which will take you up on to Fleetwith Pike (NY 205141) with its large neatly built stone cairn. The view from here to Buttermere and beyond is spectacular. You now have to decide if your knees are up to the task of Fleetwith Edge. If in doubt, retrace your steps until you get to the obvious path below Dubs Quarry which follows Warnscale Beck down to the valley bottom. 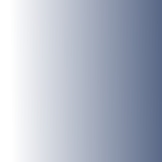 Otherwise, proceed down the steep path along the ridge in a North Westerly direction (295 magnetic). At the road, turn left briefly for the car park but note behind you the memorial to poor Fanny.